You can contact us directly if you have any questions about the availability and use of our policy data. This database captures whether women have a legislated right to paid maternity leave. Variables include length of paid leave, the wage replacement level, length of prenatal vs postnatal leave, and eligibility requirements based on contributions to social insurance funds and/or work tenure. Longitudinal data is available for every year between 1995-2016 for 193 UN Member States. Paid parental leave captures leave that either parent of an infant can take, its length and wage replacement level as well as eligibility requirements. Information on policies to encourage leave-taking by fathers is also included. Longitudinal data is available for every year between 1995 and 2016 for 193 UN Member States. This database captures whether legislated paternity leave exists (i.e. available only to fathers upon the birth of a child), whether it is paid, its duration and wage replacement level as well as eligibility requirements. This database captures whether women have a legislated right to breastfeeding breaks at work. The database includes information on whether breastfeeding breaks at work were legally guaranteed to nursing female employees, whether they were paid, and for how long they were available. *Additional variables for duration of breaks and option for shorter work days for 121 LMICs are available upon request. The sick leave database captures legal guarantees for employees to take leave when they are sick. Variables include whether leave is paid, its length, whether leave is provided as employer-liability and/or through social insurance, wage replacement level, and conditions for eligibility. Family health needs leave captures the ability of employees to take leave when a family member is sick. Variables include whether leave is granted for serious or general illness, length of leave, wage replacement rate, and other eligibility requirements. Children’s health needs leave captures when an employee is allowed to go on leave when his or her child is sick. This includes leave for general or serious health needs, whether it’s paid or unpaid. Variables include conditions for leave, length of leave, and wage replacement level. This database captures whether a minimum wage policy exists in a country and quantifies the monthly minimum wage level over time for the private sector. Longitudinal data is available for every year between 1999 and 2013 for the 121 countries that have been surveyed by either the Demographic and Health Surveys (DHS) or the Multiple Indicator Cluster Surveys (MICS) at least once between those dates. 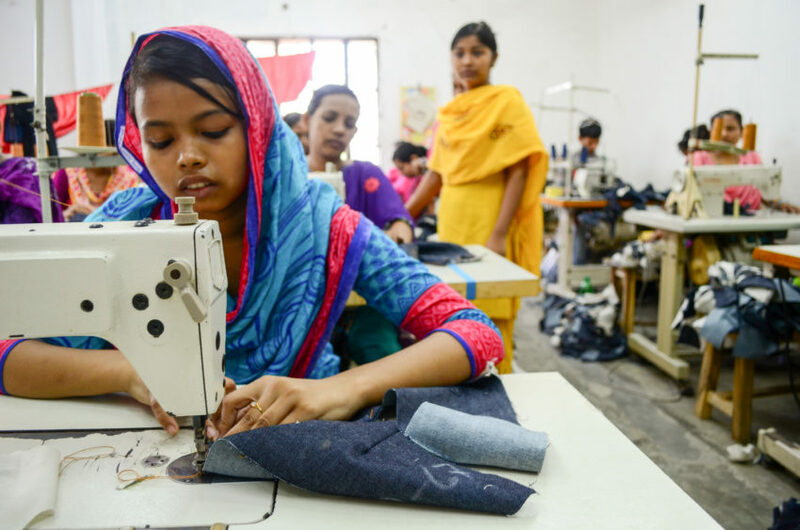 This database captures legislation around child labour, including general minimum age for employment, exceptions, and regulations around maximum hours of work. Longitudinal data is available for every year between 1995 and 2014 for 33 low and middle income countries that were included in the DHS child labour surveys. This database captures the minimum age at which boys and girls can legally marry. It also identifies whether exceptions based on parental consent or other conditions are allowed for marriage at a younger age than the regular legal minimum. The database is coded separately for girls and boys. Longitudinal data is available for every year between 1995 and 2012 for the 121 countries that have been surveyed by either the Demographic and Health Surveys (DHS) or the Multiple Indicator Cluster Surveys (MICS) at least once between those dates. This database captures the existence of policies establishing cash benefits during unemployment. Longitudinal data is available for every year between 1999 and 2012 for the 121 countries that have been surveyed by either the Demographic and Health Surveys (DHS) or the Multiple Indicator Cluster Surveys (MICS) at least once between those dates. This database captures the existence of policies establishing family allowances that require the presence of children in the household as a condition for eligibility. The database focuses on cash payments only. Variables include whether benefits are subject to a means test, and whether they are universal or only available to certain groups such as single-parent families, large families, or orphans.